You may have your favorite Doctor based on the personality or the actor, but John Hurt may be shaping up to be my favorite based on fashion. You can keep your multicolored scarves, crazy suits or cricketer's hats; as far as I'm concerned you can't go wrong with gaiters over boots, a leather jacket and a waist coat. 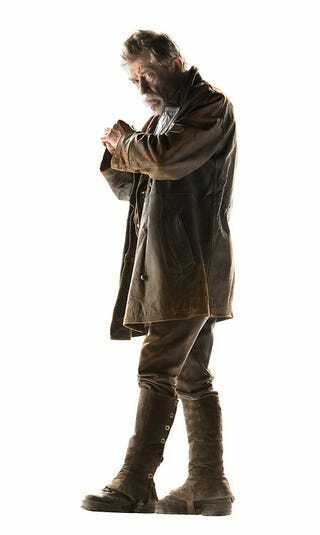 This looks like a world weary, battle hardened Doctor that is not to be trifled with. I can't wait to find out more.